Achieve physical and mental relaxation. Maintain an attitude of cooperation for your full participation. Concentrate on your goal and have a positive expectation of what you want to accomplish. Think of your goal in the ‘NOW’… I am confident, I sleep sound, I am smoke-free, I feel comfortable, I am successful! Work on one goal per session. When you have reached your goal, then work on another one in a subsequent session. Use your imagination to create a vision of your goals and positive outcome. Engage your senses and create a new reality. Be consistent and persistent in your practice of self-hypnosis! The more that you practice the techniques, the better you will get at achieving self-hypnosis. Have patience with yourself. Self-hypnosis is easy! Since total relaxation is required, begin by choosing a place that is quiet and private. Avoid areas where you will be disturbed by family members, friends, slamming doors, outside noises, texts, incoming phone calls. Find a comfortable chair, bed or couch and loosen clothing or remove anything that might interfere with your relaxation. Once you are comfortable, take three slow deep breaths and slowly exhale. With each exhale, relax your muscles. Allow your mind to wander to a pleasant thought and enjoy the feeling of just relaxing. If you find your body resisting relaxation, try tightly contracting all of the large muscle groups in your body: upper arms, stomach, buttocks, and thighs. As you deliberately contract and tighten each group, think to yourself, ” Tighter, tighter, even tighter! ” Then command your muscles to let go, relax and as they do, think ” Let go…….completely and totally release and relax.” Feel your body become heavy and limp. Focus your eyes on something just above eye level and feel your eyelids getting heavy. Count backwards from ten to zero and as you reach zero, allow your eyes to close and feel relaxation throughout your entire body. Focus on your breathing and inhale to the count of five, then exhale to the count of five. Imagine that you are inhaling pure, positive energy and that all stress, worries, negativity and tensions are released when you exhale. Feel your mind and body letting go of all of the tension and stress and allow yourself to give into the relaxation as you continue to breathe and relax with every breath. Concentrate on your goals and self-improvement. Focus on your goal and no other thoughts. Should an unwanted thought intrude, you can send it away, imagine throwing it away in an imaginary trash can, label it and release it, or remove it by having it dissolve into thin air or down the drain. Your imagination provides you unlimited possibilities for your participation and concentration. Breathe in serenity and enjoy your time of relaxation. At this point think of a scene or a place that is your favorite place to relax. You can think of a real location or create an imaginary place to your liking. If you have difficulty thinking of one, perhaps you enjoy the mountains, the beach, sitting in a rocking chair, swinging in a hammock, sailing, flying a kite, walking along a country path, walking in a meadow, or riding a horse. The possibilities are endless. Focus on participating in the scene and not as an observer in the scene. Get lost in the sights, sounds, smell, touch and feelings of your special place. And remember, you are there to relax. As you think of all of the special aspects of your special place you think to yourself, ” I feel myself becoming deeper and deeper relaxed. ” Try it! POST-HYPNOTIC SUGGESTIONS – ACTUALIZING YOUR GOALS! You are now ready to take the goal you have created and place it into your subconscious. It is really important that you create mental pictures of yourself achieving your goal. For some reason, the subconscious mind understands pictures better than words. So it is not enough just to simply state your goal, you MUST see yourself being successful at your goal. Create the pictures and the scenes of successfully attaining your goal. You can make it a movie, a slide show, or snapshots in a photo album and reinforce it with thinking of your outcome. Most importantly, when you create your suggestions: Make them POSITIVE, in the now, permissive and direct! Avoid negative words. Avoid ‘don’t’, ‘will be’, ‘going to be’, ‘not’, ‘no’, et cetera. For example, if you want to alleviate a tension headache, this is your suggestion: ” My head is feeling refreshed and free, I am becoming more and more comfortable, my head feels total relief, completely free. ” Rather than, ” When I awake, my headache will be gone. ” If you were to mention the headache in your suggestion, you reinforce your present condition and not the success of your goal. Repeat your suggestion several times and lock it into your subconscious. You can even think to yourself, ” I am locking in my goal. ” Imagine hearing and seeing it lock into your subconscious. It works! ” One…I am beginning to awaken, Two… my mind and body feel rested and refreshed, Three… becoming more and more alert, Four… moving my fingers and toes as I slowly reorient myself to the room, feeling a positive energy moving throughout my body as I come on up, AND Five… EYES OPEN. Wide awake, feeling wonderful!” Take a deep breath and stretch! Remember to commit yourself to practicing self-hypnosis. Set aside a specific day and time for your session. 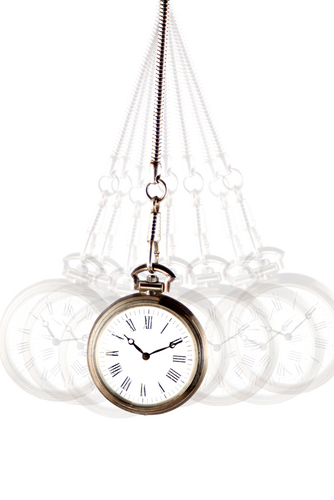 The more sessions you do, the better you will be at self-hypnosis! The results are profound and pleasing.